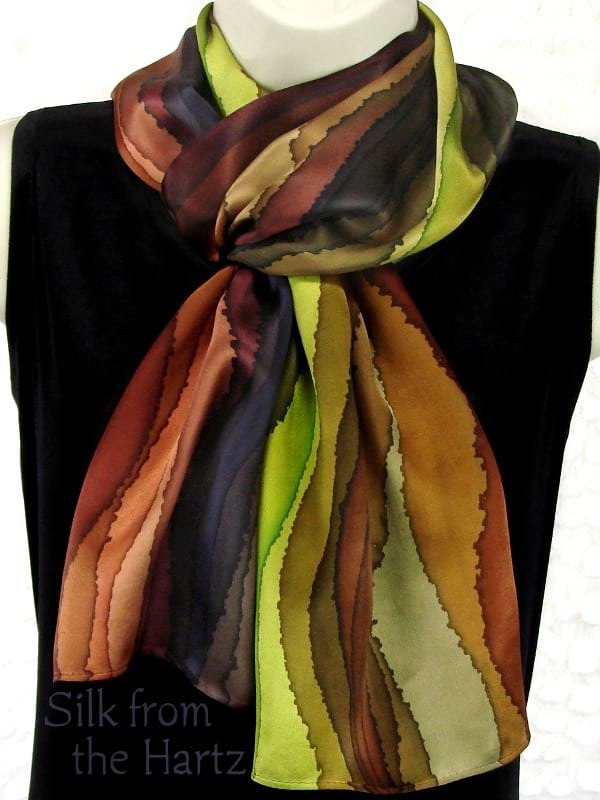 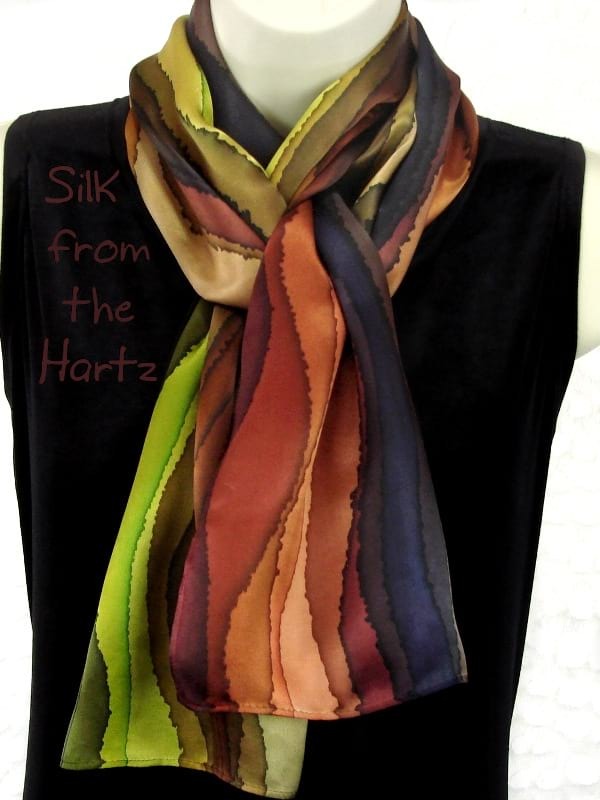 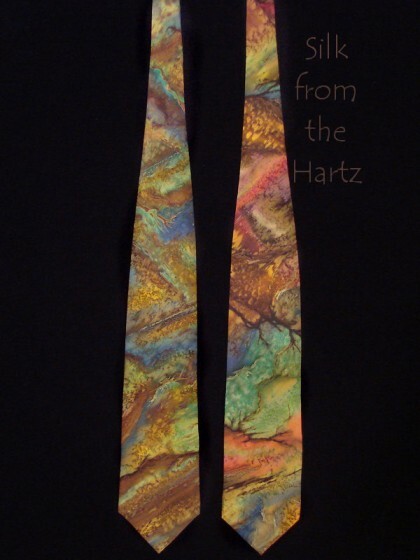 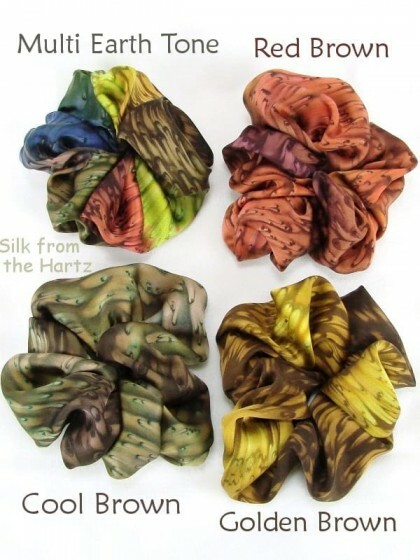 In beautiful earth tone fall colors - browns, greens, peach and denim - these luxurious soft silk satin 11" x 60" neck scarves for women are each hand painted by the artist in a creative stripe design. 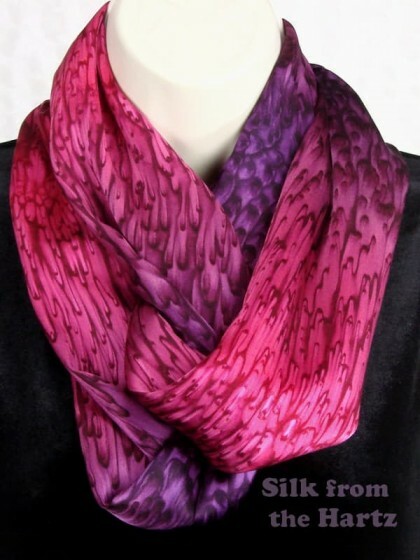 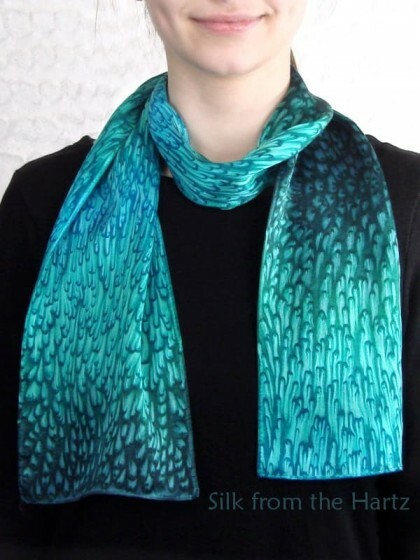 This hand dyed scarf will be a much appreciated and unique gift for her of silk - the traditional wedding anniversary gift for the 4th and 12th years. 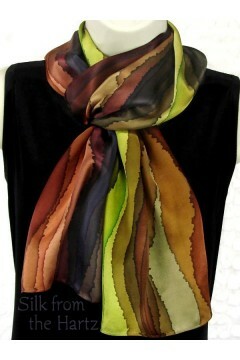 Or an elegant gift for ladies any time, just to say I love you. 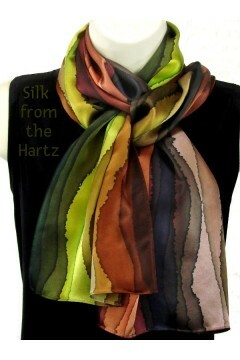 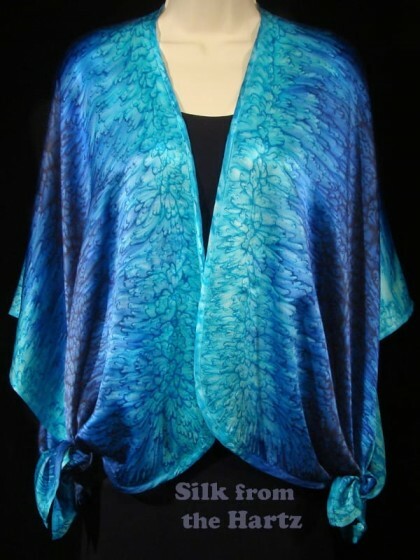 Luxurious Silk Satin Shawl Great for a cruise, business, or wedding attire, or as a shoulder cover up. 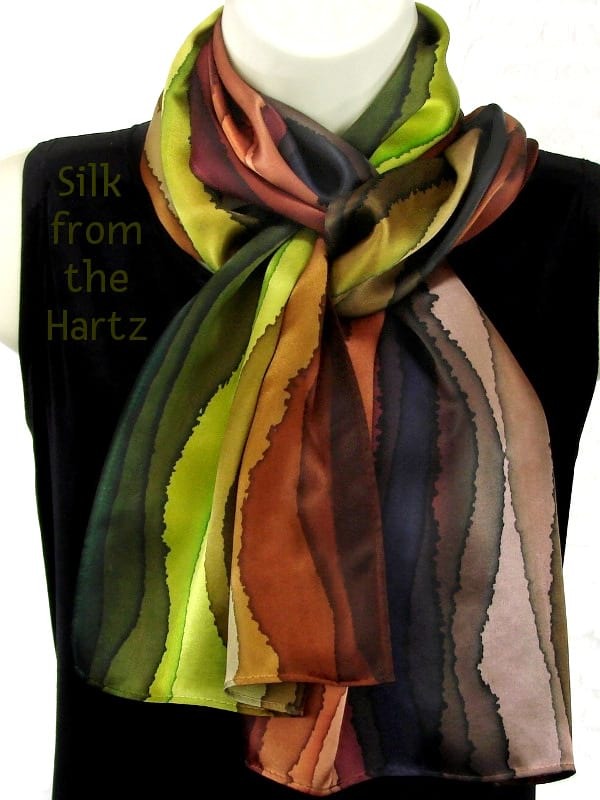 Han..
Versatile Teal and Turquoise This elegant, versatile and soft silk satin 8" x 54" scarf will look great on anyon..
Fun Raspberry Purple Ombre Scarf Hand dyed on wonderfully soft silk satin by sprinkling salt on wet dyes, creati..
Earth Tone Geology Necktie Creative natural geology silk neck ties are patterned after sedimentary rocks. 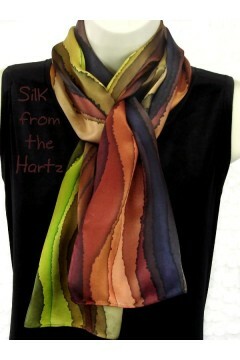 Shad..